I think it’s a sign of my level of humour that Lego’s own intro to this set sounds dodgy… but the same thing for a kitten house would have been even more dodgy. This is your boy SilentMode with his sixth and possibly final Friends review, as promised from the outset. 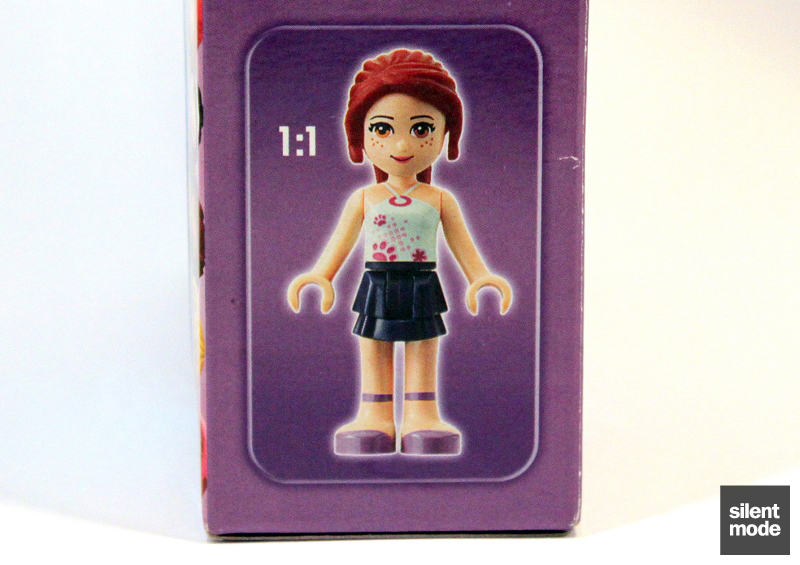 It’s been delayed because of the recent Brickshelf down time, but Mia the redhead makes a comeback in her own GBP/USD 9.99 set. Will it turn out to be the redheaded stepchild of the collection? More pictures in my Brickshelf folder. It’s almost time for the Heartlake Dog Show and Mia is getting her puppy groomed and ready. 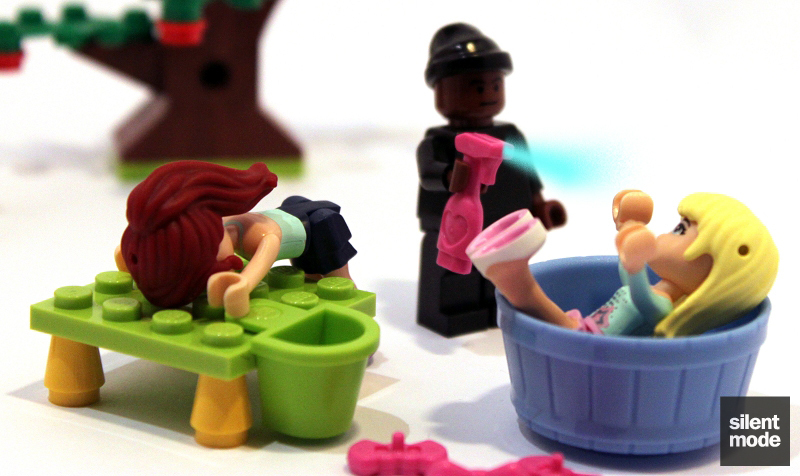 Use the soap, spray bottle and tub to help Mia give her puppy a bath! Brush its hair on the grooming table and dress it up with a pretty bow. Head out to the puppy parade and win a first prize ribbon to hang on the puppy’s house! 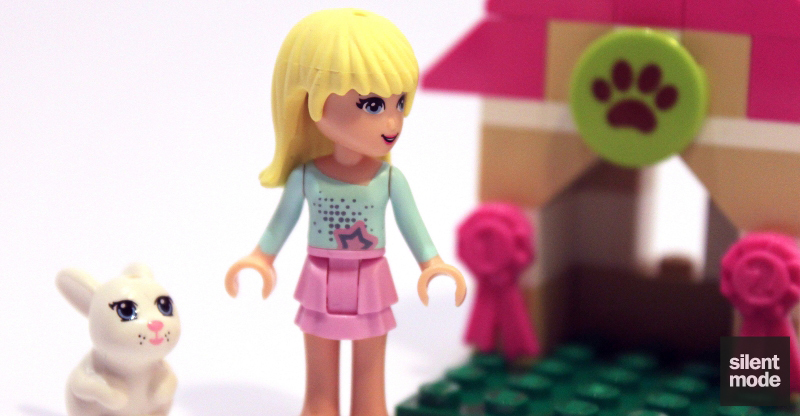 All of the LEGO® Friends will be so proud to watch her compete! Includes Mia mini-doll figure and puppy. Wash and feed the puppy! Brush the puppy and place the bow in its fur! Win a prize ribbon and hang it on the puppy’s house! 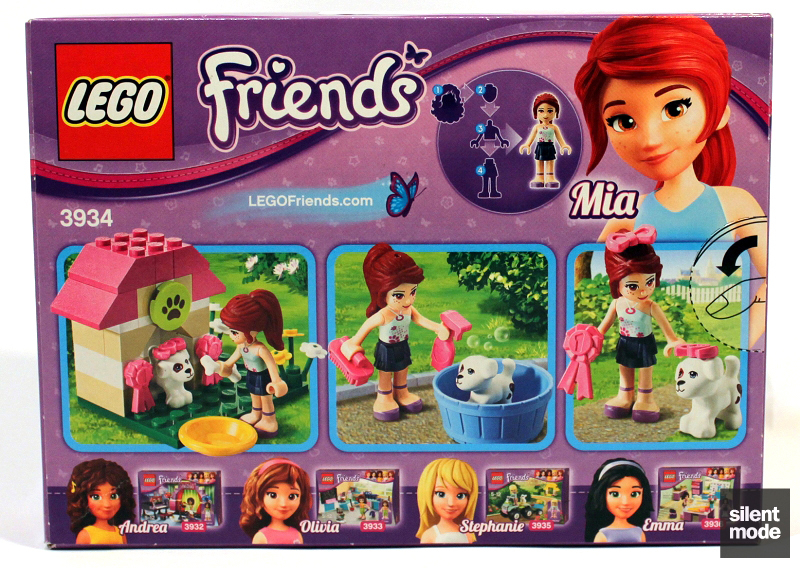 So according to Shop@Lego’s description, this puppy is actually Mia’s pet, and the one in the Heartlake Vet set is one she’s taking care of. That solves that particular mystery. Once again Mia’s the featured freckled glory, and we can see how some of the included accessories are being put to use. Like with Emma’s Splash Pool we’ll have to rely on our imagination when it comes to water in the tub, although I don’t think there was any viable alternative. Mia is literally all dolled up in this set as she’s shown to scale. IMO this outfit is an improvement over her appearance in Heartlake Vet, although I’m not sure about the top. 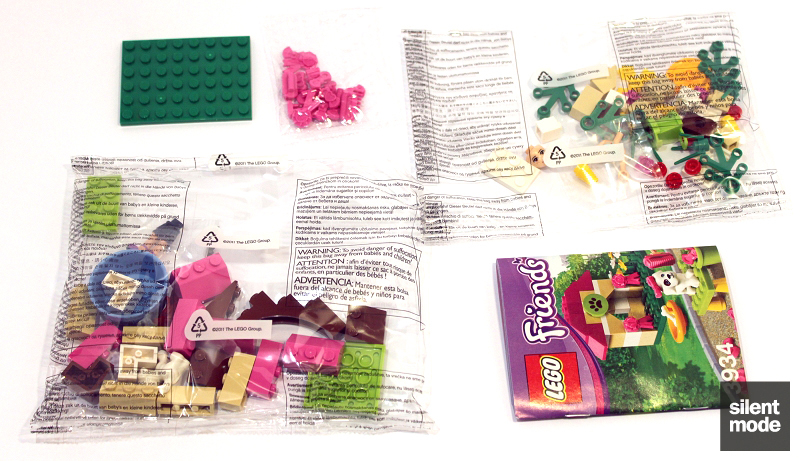 A quick look at the contents of this set shows there are just as many pieces as in the other same-priced sets for the other characters, with the standard two bags and the instructions. However, the inclusion of the 6×8 plate and the bag of accessories gives this set an early advantage over Stephanie’s Pet Patrol. 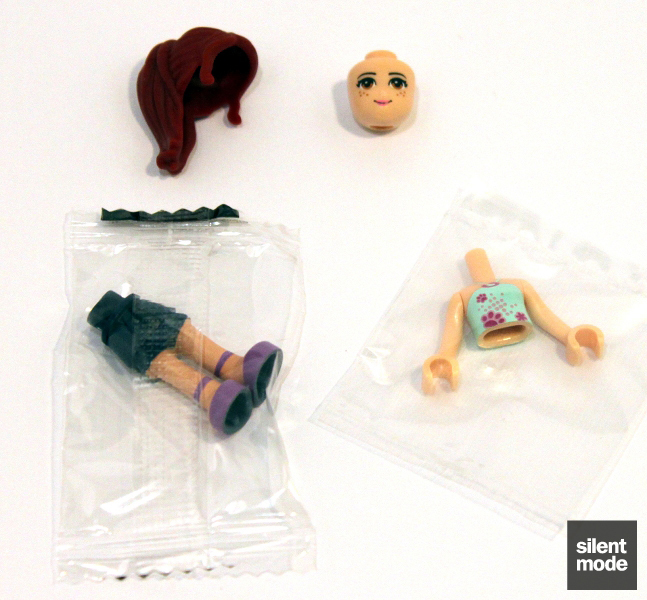 All the body parts for Mia, including the famous red ponytail hairstyle. Of the main characters, I think I like that hairpiece the most. 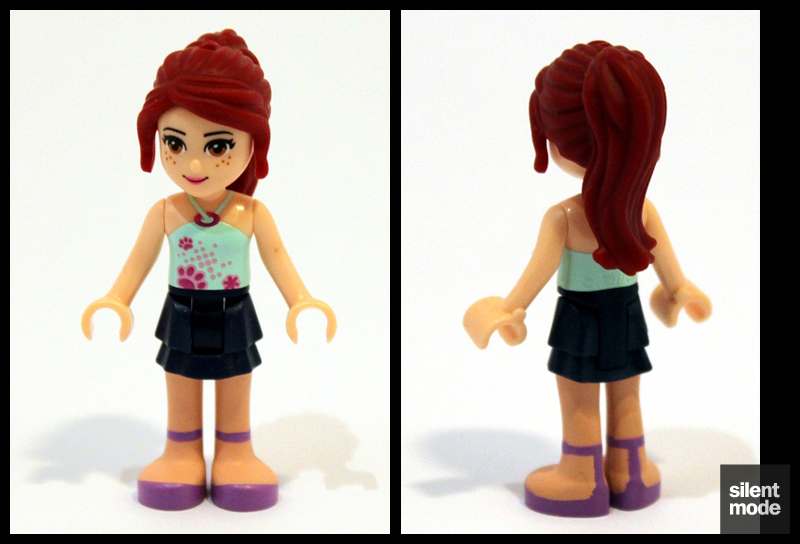 We’ve seen Mia’s hairpiece on a minifigure in the Heartlake Vet review, but here’s the assembled figure in this set. She’s much more glamorous than her counterpart in the Vet set, but I’m not sure if being dressed up like this is appropriate when grooming puppies; the vet outfit was more suited for active work. It’s up for debate, I guess. Mia’s Puppy House has a mish-mash of colours, unfortunately none of them being the new ones. 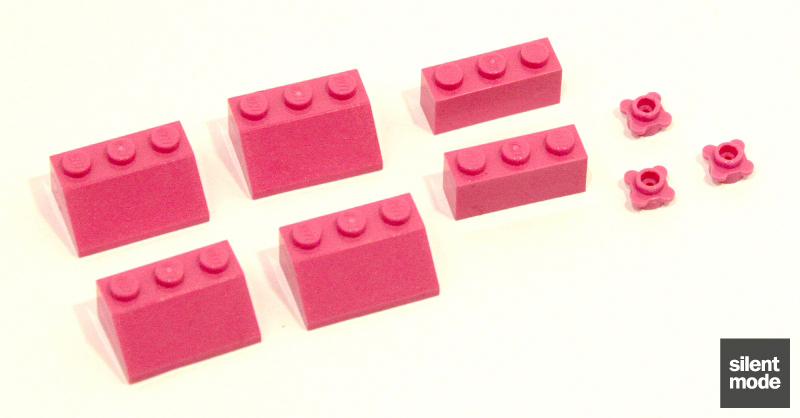 These are the Dark Pink elements in the set, and while you might find the slopes useful, the flower pieces are the most prized, I think. I like my greens, and although there are fewer Lime parts than Green in this set, the Lime parts – as you’ll see with the completed set – stand out a lot more. The printed dog paw rounded tile from the Vet set makes another appearance here, which could mean that this puppy house is an offshoot of the Vet. 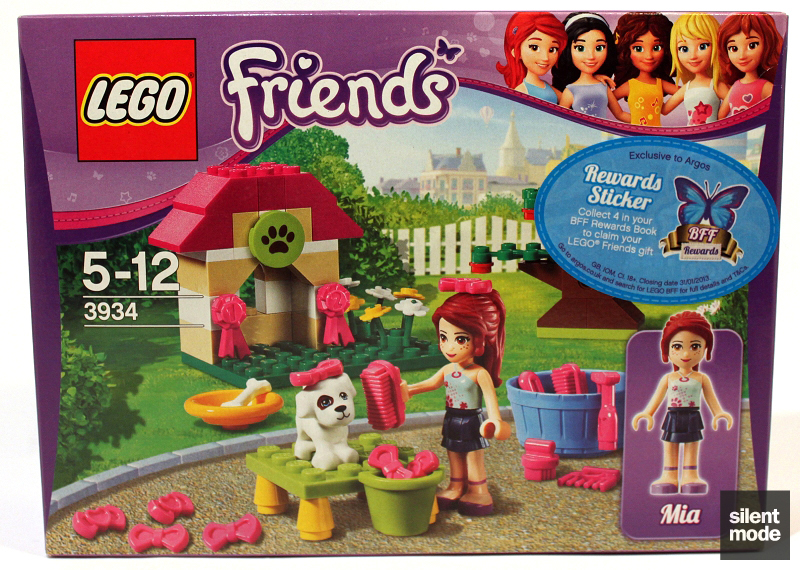 This is one of the few inexpensive sets – and probably the least expensive set – where you can obtain Friends accessories. These are all in Dark Pink, and they include: eight bows (four in two different styles); two big scrubbing brushes; one small scrubbing brush; a spray bottle; a comb; two rosettes (numbered 1 and 2); a lozenge, which appears to be a bar of soap. So at long last you can add bows and things to your animals and minidolls. Mia and her puppy wearing the bows from the set. You might be pleased to know you can also use Belville bows on the minidolls, which are a different style to the ones in this set. The puppy’s name is Charlie. Although opposed to the feminisation of shortened male names, I would assume that the name Charlie indicates that the puppy is male – yet it’s pictured on the box (and above) wearing a bow. 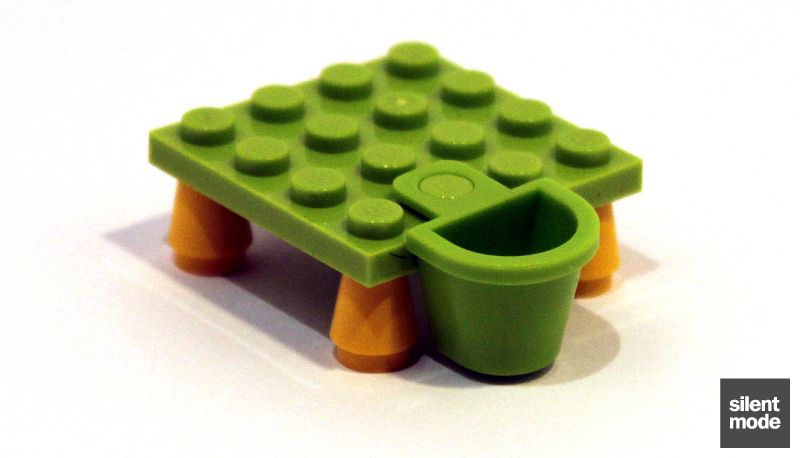 As it’s referred to as an “it” in the above description from Shop@Lego, I’m left somewhat confused. Anyway… Charlie is a different mould to the dog in the Heartlake Vet set, one clue being that all its paws are on the ground, while the Vet’s dog has one paw raised. I prefer the dog in the Vet set personally, as this one looks like it belongs in a comic book. Surprisingly I would keep most of the parts found in this set, although there’s nothing that really really stands out. 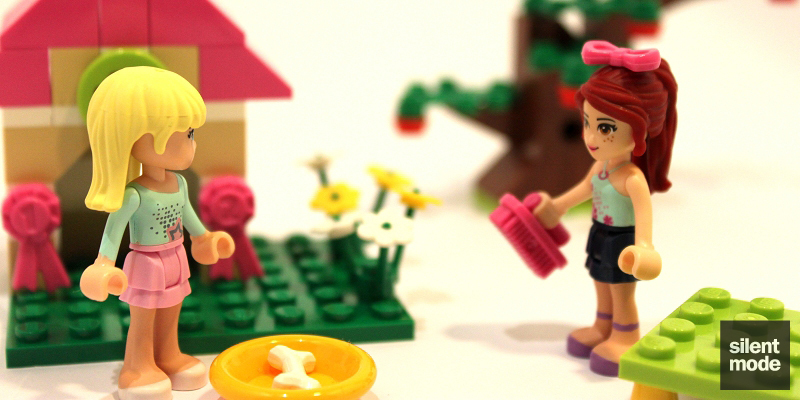 The spray bottle and brushes would be very useful for minifigures in Town and maybe even Castle environments, with the only problem being that they’re pink. If you really want that Medium Blue tub, here’s one way to obtain it without having to buy Olivia’s Tree House – although I have no idea why you wouldn’t want to, other than the price. 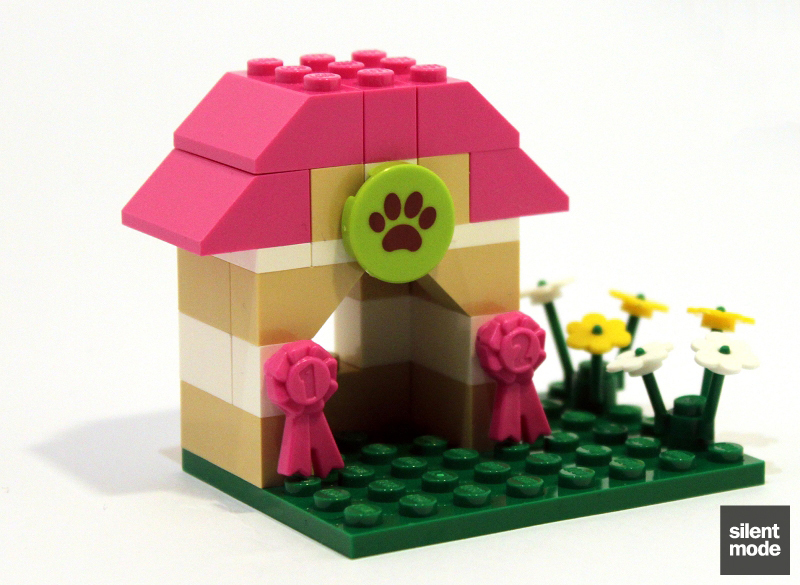 Unlike the other sets, with this one we go straight into one of the biggest builds: a very simple yet effective “house” for the puppy, adorned with the two rosettes. It’s not quite a kennel because the puppy wouldn’t fit completely inside. 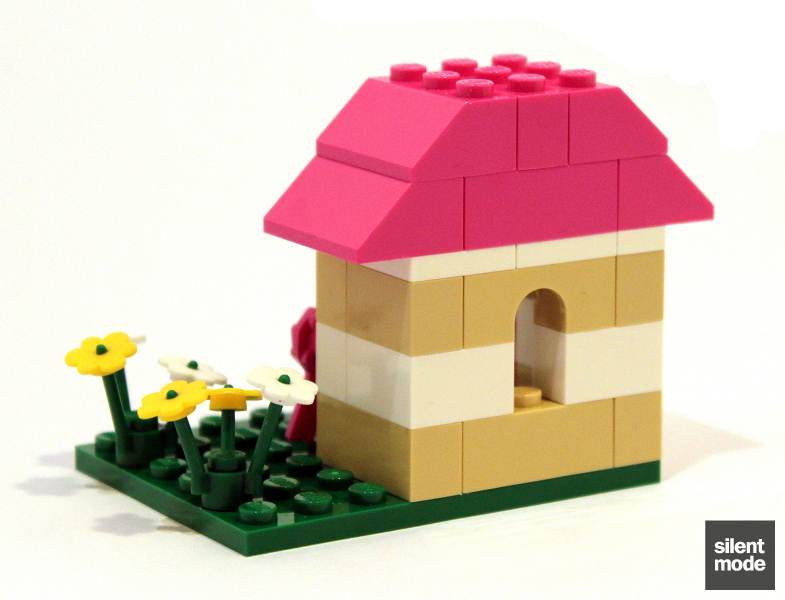 The rosettes are attached to the house using 1×1 White SNOT bricks and two of the flower plates: the pins on the rosettes insert into the flower plates, but to attach them isn’t as easy as we’d think. A shot of the back, to show how simple this build is. This build, on the other hand, is a little too simple – although it’s practical. It makes use of the supplied Lime basket-thing, which is also available in this colour in three Belville sets (if anyone cares). I suppose it’s understandable for this size set, but this looks almost like something that’s built from an advent calendar. 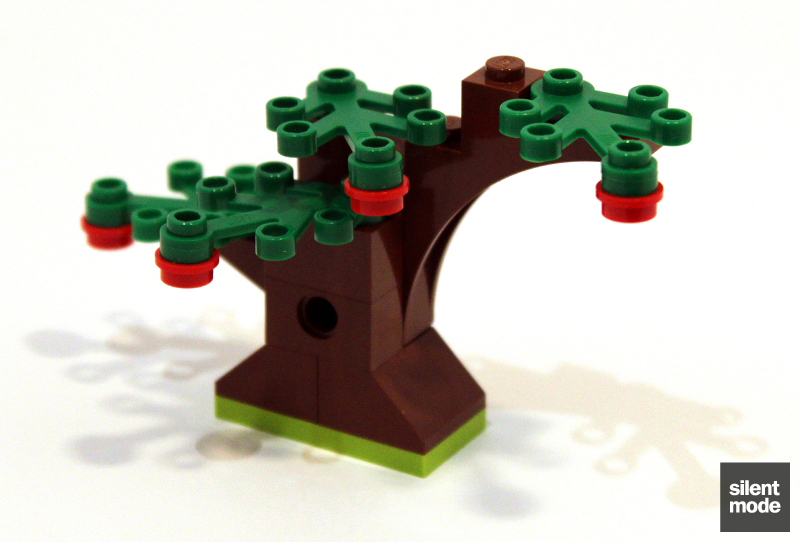 Nevertheless, it’s an okay design of a basic tree, and it gives us those four Green plant parts as well as a Reddish Brown arc. 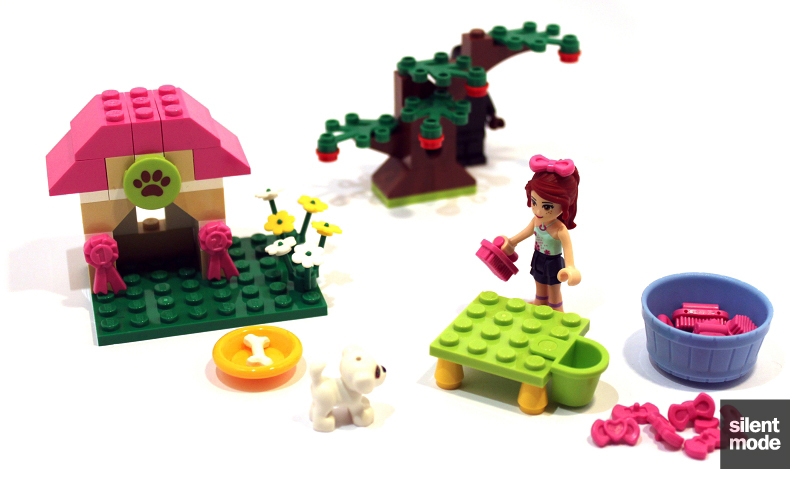 The remaining elements – the tub, the accessories and a plate with a bone for the puppy – are added to the scene at the user’s discretion, but here’s roughly what was shown in the instructions. Given that the tub is meant to be full of imaginary water, I’m not sure if it was intentional for the accessories to be placed in there – but they had to go somewhere, I guess. Charlie trembles in fear as Mia stands behind the grooming table, menacingly brandishing a scrubbing brush. 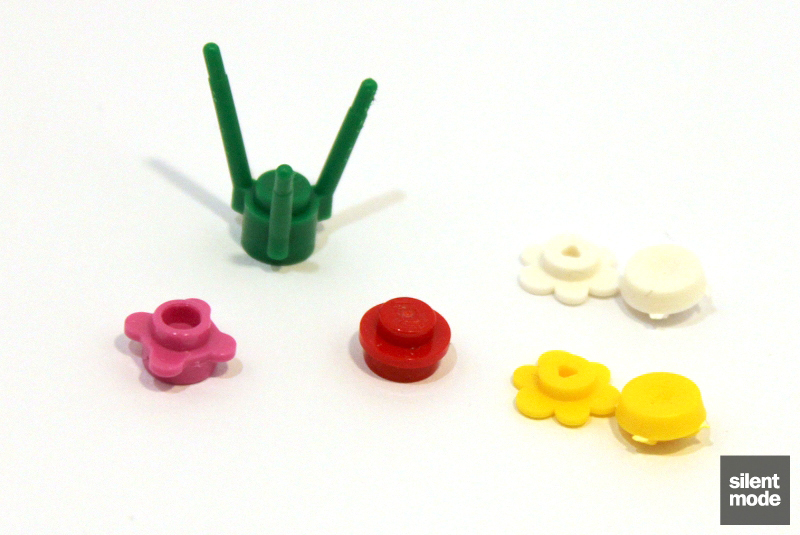 Including the flower parts, there’s five – rather than the usual four – different parts remaining. An extra flower plate is always useful, as usual, but other than that there’s nothing remarkable. Stephanie comes to visit Mia at her grooming centre. There’s not really much I can add from here; it’s another underwhelming set from my perspective. Probably the most fitting way to describe this set is a term I used earlier: mish-mash. There’s a lot of very useful parts in the set, including the various accessories (and if you like it, the puppy), but generally I don’t think the whole thing comes together as a complete set after being built. The biggest indicator of this was the very last page of the instructions: we have the three builds in a scenario, but what to do with the remaining parts is pretty much left up to us. “What now,” summed up how I felt after the building, although that’s not necessarily a bad thing. 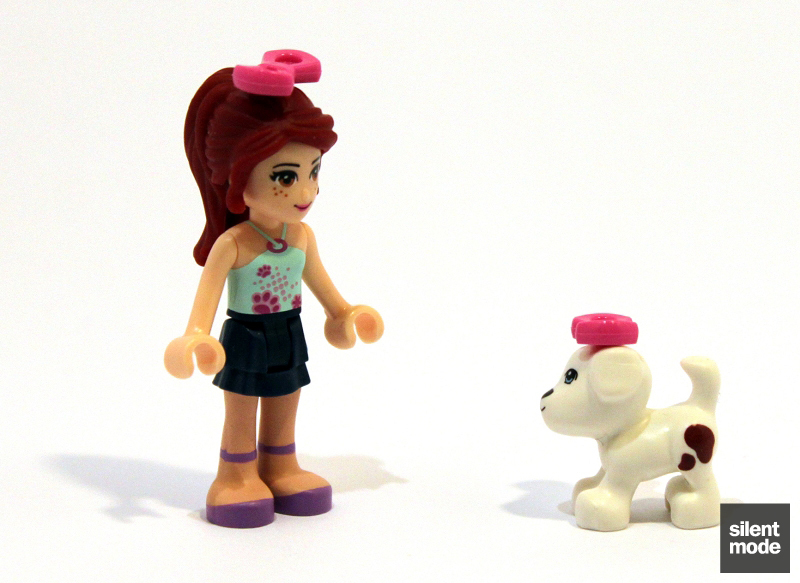 The only real reason to purchase this set is for specific parts: whether for Mia and/or an extra hairpiece, the puppy or the accessories. There isn’t anything anyone couldn’t do a better job of building, including the puppy house which is the most impressive of the three builds by far – why not turn it into a kennel? 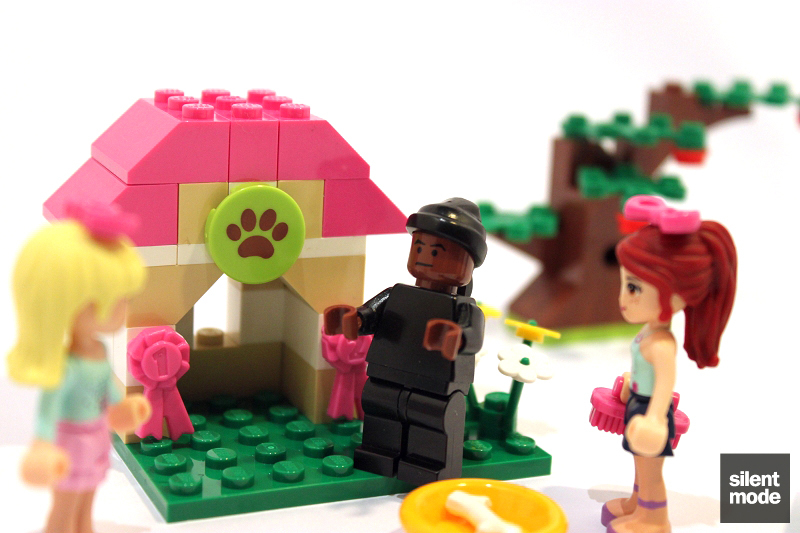 The puppy house is the best part, but there's nothing in this set that anyone couldn't improve on or do better. The grooming table was almost insulting. Only the apple tree posed any real challenge or required any effort to build. Everything else was very simple. 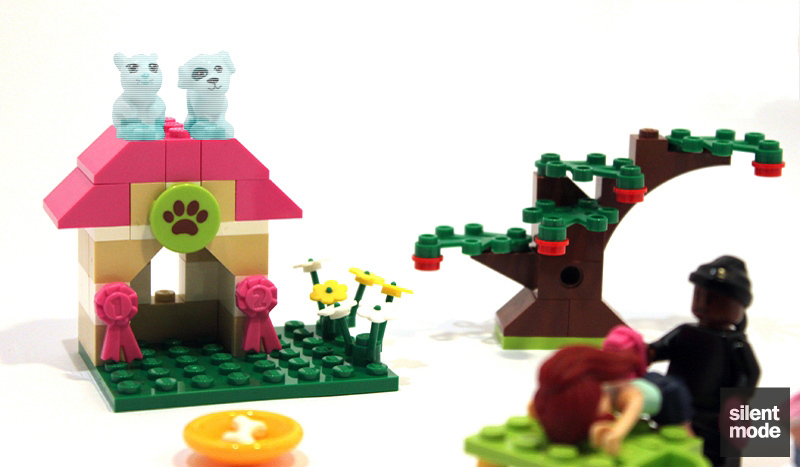 Some useful parts in the set, with the accessories (and maybe the puppy) being the only reason to purchase this set above anything else for the other parts. Currently the least expensive way to obtain Mia. One point each for the minidoll, puppy and accessories - the only things one can really play with. 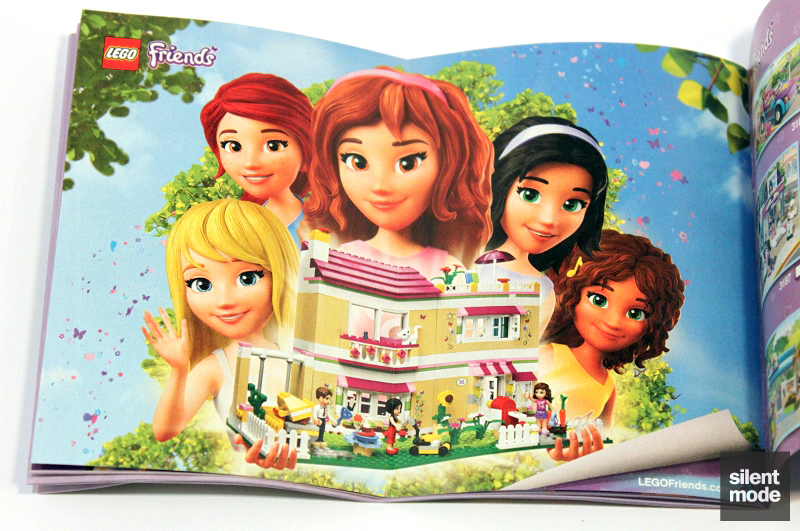 This over Stephanie's Pet Patrol (where the animal also appears to be the premium), only because of the bag of accessories. Definitely not something I'd buy more than once at RRP. Based on these scores, Mia’s Puppy House gets a very low 4.6/10, saved from getting a 4 only by – you’ve guessed it – the accessories.